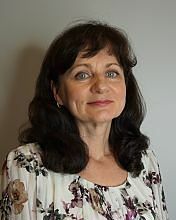 Raisa Blyum started in public accounting in 2000 and has been with Kesner, Godes and Morrissey, LLC since 2006. She received her Bachelor’s Degree in Economics from Gomel Cooperative Institute and earned her Certificate in Professional Accountancy from Stonehill College. Raisa is an Enrolled Agent with the Internal Revenue Service. Raisa provides tax return preparation and accounting services for our clients. She focuses on tax and accounting issues for commercial real estate companies and closely held private enterprises in a variety of industries, preparation of individual tax returns and tax planning appropriate to the specific situation of each client. Outside of the office, Raisa enjoys spending time gardening.